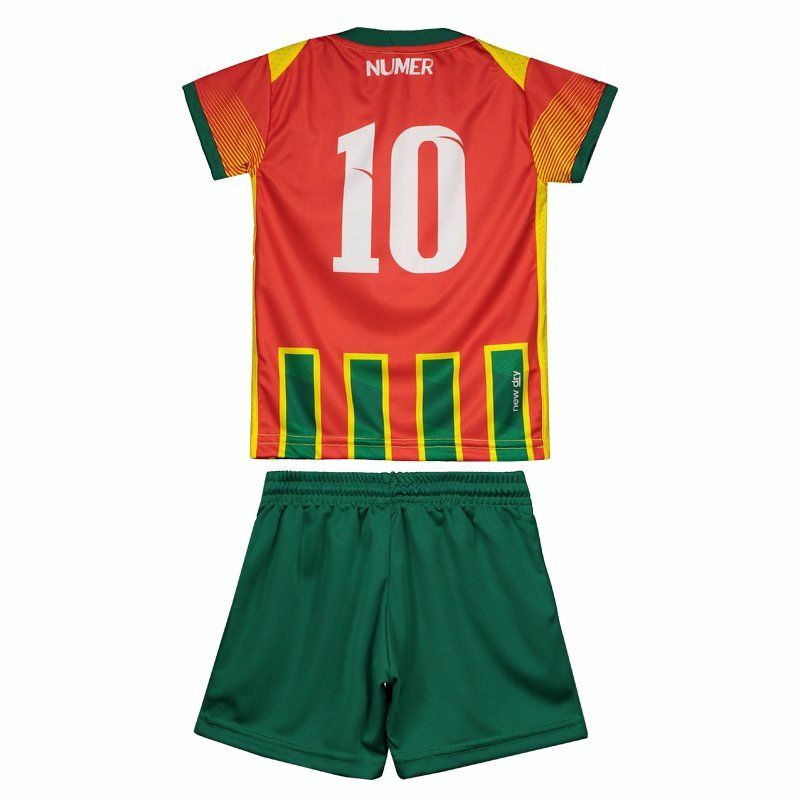 Manufactured by Numer, the Sampaio Corrêa Home Kids Kit for 2017 is ideal for the little ones to show their love for the club at all times. The mantle brings number 10 embossed on the back. Made of lightweight polyester and offers name customization. More info. 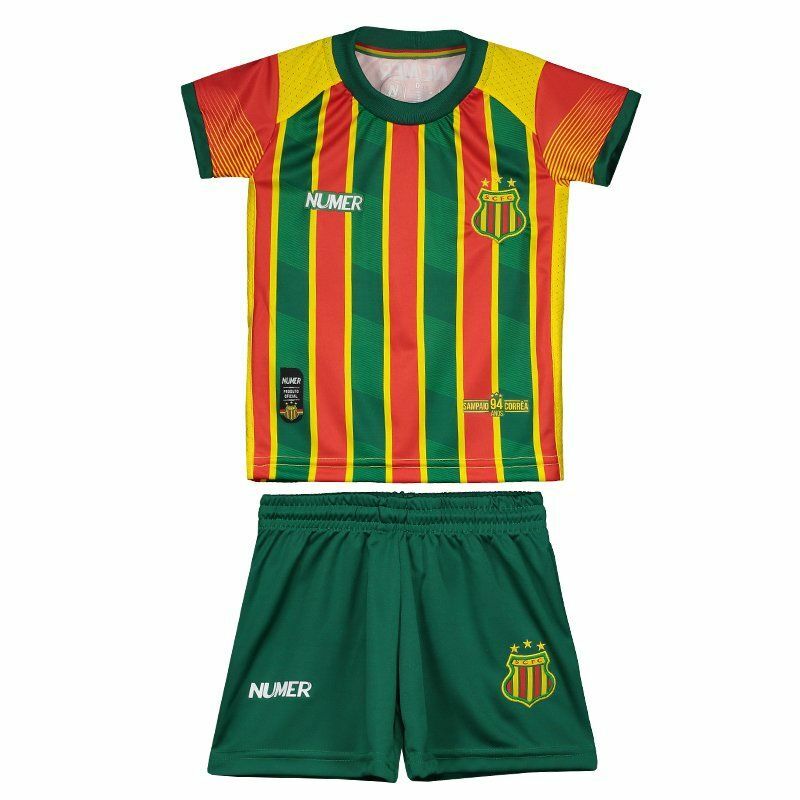 Manufactured by Numer, the Sampaio Corrêa Home Kids Kit for 2017 is ideal for the little ones to show their love for the club at all times. The mantle brings number 10 embossed on the back. Made of lightweight polyester, it features breathable mesh fabrics, providing greater comfort and breathability. The jersey features design in team colors, containing vertical stripes textured in red, green and yellow. In the chest, the traditional badge is seen embroidered on the left side, already on the opposite side, the logo of the mark appears fixed. In addition, it has a crew neck collar and the sleeves are short. Complementing the details of the set, the shorts consist entirely of green color and have the Numer logo and logo next to the bar. Finally, the adjustment is made by elastic and waist drawstring.